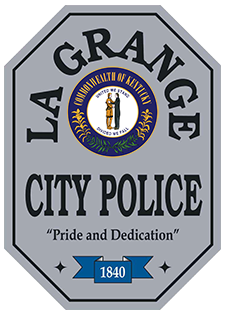 The La Grange Police Department wants to warn its citizens about aggressive telephone calls being made by scammers posing as Internal Revenue Service (IRS) representatives.​ One example is crooks direct taxpayers to IRS.gov to “verify” the phone number of the call. In the latest version of the phone scam, criminals claim to be calling from a local IRS TAC office. Scam artists have programmed their computers to display the TAC telephone number, which appears on the taxpayer’s Caller ID when the call is made. If the taxpayer questions their demand for tax payment, they direct the taxpayer to IRS.gov to look up the local TAC office telephone number to verify the phone number. The crooks hang up, wait a short time and then call back a second time, and they are able to fake or “spoof” the Caller ID to appear to be the IRS office calling. After the taxpayer has “verified” the call number, the fraudsters resume their demands for money, generally demanding payment on a debit card. · Call to demand immediate payment, nor will the agency call about taxes owed without first having mailed you a tax bill. · Require you to use a specific payment method for your taxes, such as prepaid gift cards (example: iTunes or Google) or wire services such as Western Union or MoneyGram. · Threaten to bring in local police or other law-enforcement groups to have you arrested for not paying. If you get a phone call from someone claiming to be from the IRS and asking for money, immediately HANG UP. Under no circumstances should you engage them in conversation or provide any personal information. ·Call the IRS at 1-800-829-1040 if you think you might owe taxes. The IRS employees can help you with a payment issue. Remember to add "IRS Telephone Scam" to the comments of your complaint. Always be on alert for calls from people who are trying to trick you into paying them money. People in our area have received calls from someone claiming to work for LG&E and KU. The caller states that your account is overdue and in order to pay your bill, you'll need to call the number they give you. at 502-589-1444 or 800-331-7370 to check on the status of your account. ​Do not call the number that they give you. NEVER give out personal information or make a payment over the phone to someone you don't know and has called you requesting it. Please be on the lookout for this recent email scam. This individual was contacted by email stating that she owed money for a speeding ticket. ​In addition, it provided a link through which to send money. DO NOT click on the link. If you had actually received a ticket, you would have been notified through the mail, not through your email address. Should you receive one of these notices, please contact your local police department. We have been advised of an apparent scam targeting the LaGrange area. A resident received a phone call from someone calling themselves John Wesley from UPS from the number (502)565-3083. He told them that they had won a cash prize and new car from the Publisher's Clearinghouse and asked if they had received anything in the mail from them. He then asked if the resident wanted to claim, decline, or donate the prize. If you receive a call like this, please just hang up and DO NOT give out any personal information. Over the past few months, people claiming to be an Oldham County Sheriff's Deputy have called citizens and told them that they have a warrant. They also tell them that they can avoid going to jail if they meet with caller and bring $1,000.00. Recently the callers have started claiming to be with the Oldham County Police. THIS IS A SCAM!! If there were outstanding warrants for your arrest, a police officer would come to your door. They would NEVER call you and request money. If you receive a phone call like this, just hang up. In the Market Place news paper as well as other publications there is an advertisement for mystery shoppers, you send them your name address etc. Then a few days later you get a check via FED EX. Usually the check is for $2,850.00 they tell you to deposit the check keep $350.00 and Western Union $2,500 to a name and address they give you via email. This is a scam the checks are made up on real companies but their banks will stop the check, verify they are fraudulent and you are out $2,500 dollars. They always say further instruction to follow in your correspondence with them which once you’re burned it never comes. There are several scams that are similar. If they are asking you to send them money back! IT'S A SCAM!! We take several calls a week about citizens receiving checks, and believing that they have just one a large amount of money or merchandise. Please be cautious when getting calls from business or letters stating that you have one a prize or money. ​A citizen in LaGrange was recently contacted by a sweepstakes and was told that they won a prize of $850.000 and a new silver Mercedes. The sweepstakes asked for them to send a cash advance to cover the sells tax. Being a little suspicious she told them that she wanted to check them out and was going to call the Better Business bureau. They gladly offered her the number of there local BBB. She called and it appeared to be the same person answering as the sweepstakes. Please be alert and do not fall for these scams. If it sounds to good to be true, it probably is!! ​The Kentucky State Police, Post 11, London has received a report of a scam that targets victims through a telephone call stating they have won a large sum of money or a valuable prize. This particular call, from a cell phone that is registered in the country of Jamaica, originated from the "876" area code. It was from a person identifying himself as "Mr. Bill Johnson". The caller advises victims to send money via Western Union to a "Mr. Phillip Samuels" in Brooklyn, NY to receive their prize. The caller states the prize will be delivered to the victim's home after the money has been received by Mr. Samuels. These names are believed to be alias names and no positive identification of these individuals has been made. No loss of money has been reported at this time. Anyone receiving a call of this type is urged to disregard it completely and no one should ever send money, to anyone, for a prize they have supposedly won. There is an organization called Disabled Police and Sheriffs Foundation (http://www.helppolice.org/) that is an actual business. However, they are listed as one of America's Worst Charities (http://www.tampabay.com/…/disabled-police-and-sheriffs-foun…). They have been making calls that appear to come from a Kentucky phone number (270-883-9223) but they operate out of Reno, NV. When one person who received their solicitation call asked how much of his donation would go to disabled officers, the solicitor hung up. Please remember that you should not give out your personal information over the phone. If you want to donate to an organization, it is best if you seek them out. Please take the time to look through the website below to see how these charities are spending your donations.